This scripture summarizes the insight and discovery which has led to a fresh stream of thought and renewal throughout the wider Body of Christ. Described as the Convergence Movement, or “Convergence of the Streams,” this emerging movement appears to many, both observers and participants, to be another contemporary evidence of God’s continuing activity in history to renew, replenish and unify His people in one heart and purpose in Christ. Arising out of a common desire and hunger to experience the fullness of Christian worship and spirituality, the Convergence Movement (also referred to in the remainder of this article as “CM”) seeks to blend or merge the essential elements in the Christian faith represented historically in three major streams of thought and practice; the Charismatic, Evangelical/Reformed and Liturgical/Sacramental. An increasing number of local congregations and leaders from many backgrounds are finding “treasures old and new” in the spiritual heritage of the church universal. The blending or converging of these traditions is seen by those involved as the work of God the Holy Spirit imparting a spiritual operation of grace best captured in the vision of Psalm 46:5,6: “There is a river whose streams make glad the city of God, the Holy Place where the Most High dwells.” Thus, the “city of God” is seen as the Church, the river as the action and flow of God’s Presence through His Church and the many “streams” as expressions of the one river’s life that have developed or broken off from the main river through history, all of which are necessary to enrich and make glad the city with the fullness of God’s life, power, purpose and Presence. These tributaries now seem to be making their way back toward the main stream. Anglican minister David Watson once remarked that, “This break with Rome (the Reformation), although probably inevitable due to the corruption of the time, unfortunately led to split after split with the Body of Christ, with the result that the mission of the Church is today seriously handicapped by the bewildering plethora of endless denominations…a torn and divided Christianity is, nevertheless, a scandal for which all Christians need deeply to repent” (David Watson, I Believe in the Church). This call is to be one undergirds the desire of many in CM to see the streams of the Church come together. Wayne Boosahda and Randy Sly of Hosanna Church of the King, one of the key Churches in the Kansas City area reflecting the impact of the movement, have expressed the conviction that, “out of the days of the Reformation, we see God’s heart now moving in a kind of ‘reverse reformation’ or restoration, of His One, Holy, Catholic and Apostolic Church” (catholic, here being used to refer to the wider universal Church of Jesus Christ). The convergence movement seems to have strong antecedents in two major areas of spiritual and worship renewal affecting the Church in this century: the contemporary Charismatic worship renewal and the Liturgical Renewal Movement, both Catholic and mainline Protestant. The Charismatic Renewal, began in the early 60’s primarily within mainline denominations. Those in the Renewal saw a blending of Charismatic or Pentecostal elements, such as healing, prophecy and spontaneous worship and praise, with the more traditional elements of mainline (and, eventually, Roman Catholic) liturgical and reformed practices. What some have called the “Third Wave” or “Signs and Wonders Movement” began about 1978 with the emergence of the ministry of John Wimber and the Vineyard Churches that arose through his influence. James Robison, Jim Hylton, Ray Robinson and other Southern Baptist leaders witnessed a Third Wave explosion in the “Fullness Movement,” primarily impacting the SBC. Peter Wagner and others from Fuller Theological Seminary formalized the movement through their writings and acted as a filter and focal point. The Third Wave has been described by some as an epilogue to the Charismatic Renewal, bringing together Charismatic elements of worship, experience and practice with the Evangelical tradition. The other key influence upon CM has been the Liturgical Renewal Movement, which arose originally out of France in the Roman Catholic Church and the Oxford or Tractarian Movement in the Church of England in the 19th century. The Liturgical Renewal caused a resurgence of interest in recapturing the essence, spirit and shape of ancient Christian worship, as practiced and understood by the early Church of the first eight centuries. Particular focus was given to the apostolic and Ante-Nicene Fathers of the ancient, undivided Church up until about 390 A.D. The discoveries and enrichment of the theology and practice of worship and ministry from that fertile era overflowed into the mainline Protestant churches and began to have major impact upon them, as well, from the 1950’s on. A common component in the current CM, which came from these earlier movements, is a strong sense of and concern for unity in the whole of Christ’s Body, the Church. 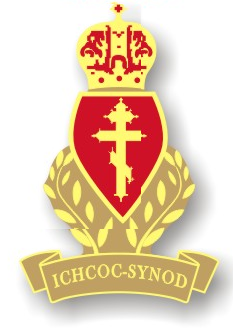 While not associated with the official Ecumenical Movement of the World Council of Churches, those involved in CM seem broadly gripped by the hunger and desire to learn from traditions of worship and spirituality other than their own and to integrate these discoveries into their own practice and experience in the journey of faith. Indeed, many leaders in the fledgling movement describe their experience as a compelling “journey” or “pilgrimage.” Many times, in very unsought-after ways, “sovereign” events, relationships, books or insights gave rise to an understanding of the church that was quite different from their previous perspectives and backgrounds. On case-in-point is Richard Foster, a Quaker by background, whose personal pilgrimage led him to write the classic Celebration of Discipline, which he unfolds an integrated practice of spiritual disciplines drawn from five basics traditions of spirituality in the Church through history. As a result of his developing focus, Foster convened a conference called “Renovare”, which gathered in Wichita, KS, in 1988. The conference and intended renewal were direct precursors to the “Convergence of Streams” concept. Basically unheralded or openly recognized until about 1985, many in the movement have discovered others on the “journey” from various church backgrounds who had similar or identical experiences and insights. One by one congregations and leaders have found one another, underlining the sense that God is doing something on a grass root level similar to an underground river about to break to the surface. Key contemporary pioneers shaping the awareness and thought of the movement are men like Dr. Robert Webber, author and professor of Theology at Wheaton College; Dr. Robert Stamps, former chaplain of Oral Roberts University; Peter Gillquist, former leader with Campus Crusade fro Christ and now an Eastern Orthodox priest and evangelist; Thomas Howard from St. John’s Seminary; Thomas Oden, theologian and author from Drew University, Howard Snyder, theologian, author and Christian educator, Stan White, former Assembly of God pastor, now an Episcopalian priest; and others, such as the late David DuPlessis, Pentecostal minister and key instigator of the Charismatic ecumenical dialogue between Roman Catholics and Pentecostals; current Archbishop of Canterbury, George Carey; the United Methodist liturgical Order of St. Luke and Peter Hocken, Roman Catholic theologian. These individuals range in background from Fundamentalists and Evangelicals to Anglican/Episcopalian and mainline Protestants; and Classical Pentecostals and independent Charismatics to Roman Catholics and Eastern Orthodox.